Looking for last minute gift ideas? How about the gift of a whiter smile?! The holidays are here! The food has been prepared, the drinks have been poured, the gifts have been wrapped… Oh, wait! You forgot the gift! Sugar Fix Dental Loft has a perfect idea for what you can give to that person who’s impossible to shop for. The gift of a whiter smile is the gift that keeps on giving. 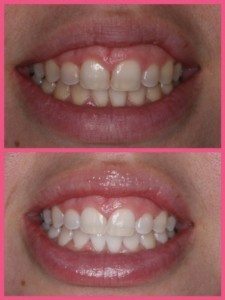 Have you or anyone else in your life contemplated the option of doing some type of teeth whitening? What a better way to start the new year than with an enhanced smile. 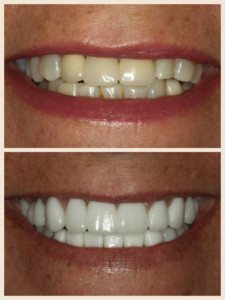 Dr. Jessica Emery and her team offer multiple different ways to whiten your smile. All of which can be gifted to that special person (or possibly even yourself!) this holiday season! There are three different ways to whiten your teeth depending on what type of seating you have, to begin with. The first step would be for those casual whiteners. This is a take-home process that you do by yourself and use on occasion as a touch-up. The second option is an in-office procedure for someone who has had years of staining from products like coffee, tea, and dark foods. This is a 1 two-hour appointment that can get teeth up to three shades lighter. The third option is for those who have very tenacious staining. Possibly from when you were a child or from some trauma somewhere along the line that hasn’t been removed with any other type of Whitening. A gift of a whiter smile! Whether this may be a gift for you or someone in your life, give Sugar Fix Dental Loft a call soon to make the purchase to give the gift of a whiter smile. The happiest of holidays from all of us here at the loft!